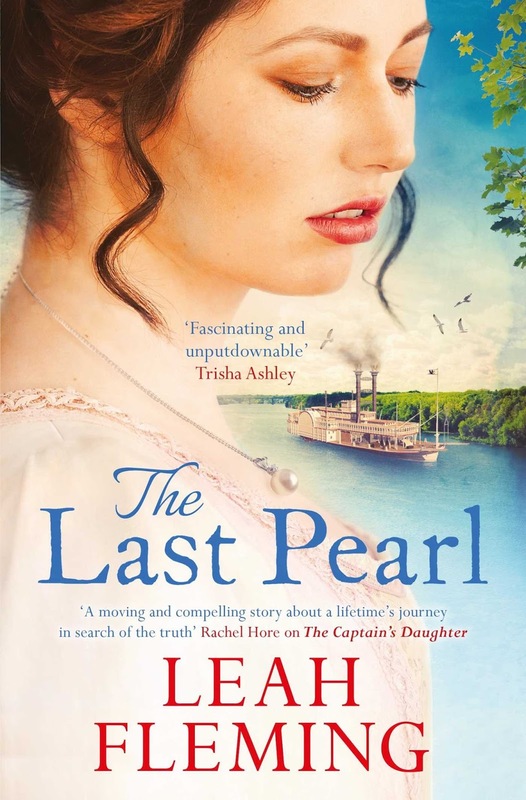 The Last Pearl by Leah Fleming is set in the late 1800’s, and spans for almost 20 years throughout its tale. One of the main characters is Greta Costello, a young woman with a lot of determination and courage, who uses these qualities to help her family survive after her father’s death. We see the family struggle financially, and Greta does all she can to overcome the difficulties they face. Throughout the book, as the years pass, we see these qualities of determination and courage shine through in Greta over and over again. We are also introduced to another main character, Jem Baillie, who helps his father fish out a very rare pearl from a river in Scotland. Without giving too much away, this pearl is to have a huge importance in this saga, right til the very end. There are a lot of characters in the book, and the one I despised was Eben. He was pure evil!! Greta’s mum, the old jeweller Saul Abrahams, and Greta’s sister Kitty, were some of my favourite characters. They were very supportive of Greta’s decisions, and I really admired them for that. This book really resonated with me as it focuses a lot on the importance of family, and the loyalties that lie within each family. I could definitely tell that Leah has researched the history of pearls very thoroughly, and I found that it was very interesting to read about. One of the joys of reading is being educated on subjects that I usually wouldn’t necessarily know much about. In this instance, it was learning about the history of pearls. I really enjoyed this book. The ending felt a little rushed for me, but it was still a nice ending. I would gladly recommend this book. Nothing like an evil character to spice up a novel! Sounds like an enticing story. Hi Grace:) Thanks so much for your comment!!! It is a great book, and Eben is a very nasty character for sure! If you can get your hands on it, I'm sure you'll enjoy it.